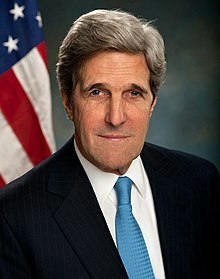 John Kerry (John Forbes Kerry; 11 December 1943) is the Secretar o State o Americae an wis a senator frae Americae. He wis senator o Massachusetts frae 1985 tae 2013. This page wis last eeditit on 10 Mey 2018, at 01:07.